Uddhava Samman BA PhD qualified as a Yoga teacher in 1995 and has been teaching ever since. He is a member of the Register of Exercise Professionals (REPs) and has taught Yoga for Adult Education and has experience of working with a wide range of people. He is a co-founder and trustee of the Traditional Yoga Association, a registered charity based in Reading, which offers Yoga classes, workshops and Yoga Teacher Training courses to the community. As well as teaching general classes, Uddhava is particularly interested in teaching people who might feel that Yoga is out of their reach. 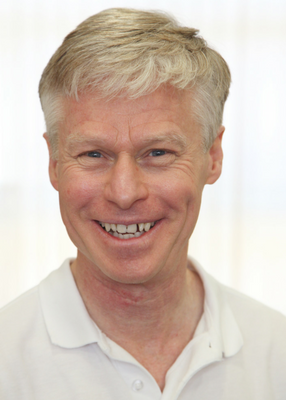 He specialises in teaching Yoga to people with MS and has been teaching at the Berkshire MS Therapy Centre since 1999.